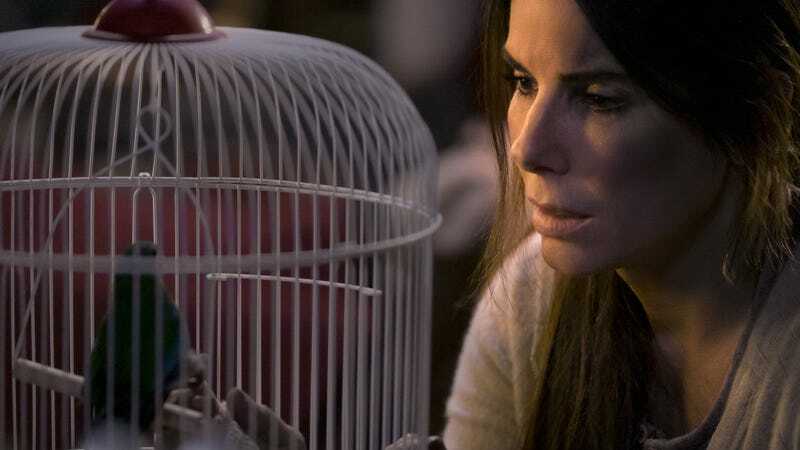 Bird Box was a popular book that became a very popular movie—a phenomenon driven more by memes than by critical acclaim—so it’s only natural that we’d end up seeing (or...not seeing?) more of the story’s creatures, the likes of which drive those who see them to either death or insanity. Now, in a new interview with Esquire, author Josh Malerman has confirmed that a book sequel is both finished and on the way. Called Malorie, it will check in with the story’s heroine—played by Sandra Bullock in the film—eight years after the events of the first book. Malerman doesn’t reveal too much about the story, saying only that “we get to know both Malorie and the creatures better.” We’re hoping that doesn’t mean showing what they actually look like, because the best thing this story’s got going for it is that mystery—nothing could be as scary as the creature we, as readers, conjure up in our minds. If sequels are good at anything, though, it’s spoiling whatever was scary about the first one, so prepare to find out Malorie is, like, the sister of the boss monster or some such thing. Malorie arrives on October 1. See the cover art for the book below.